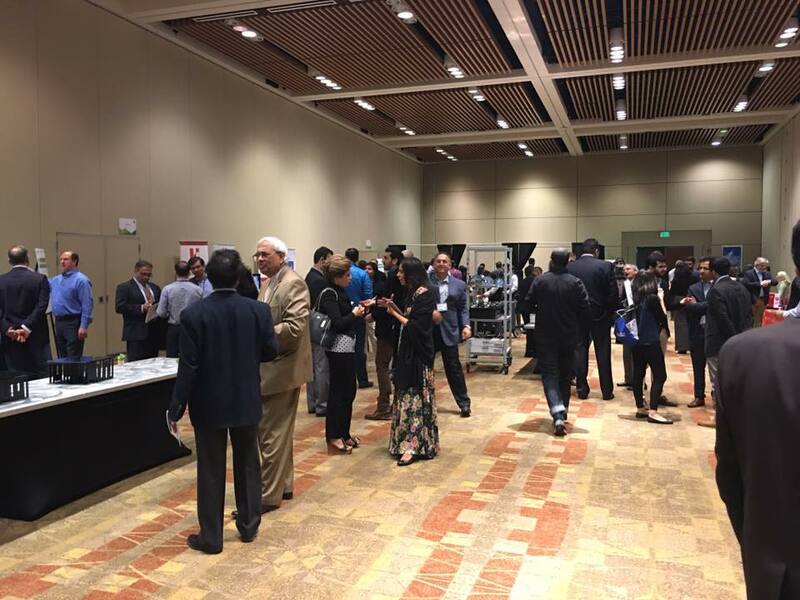 A variety of topics raging from cloud computing and virtual reality to internet of things (IoT) and sharing economy were discussed in three parallel tracks at the conference. A session that drew special attention was titled "Pakistan's Thriving Startup Ecosystem" that featured Fahad Aziz, Khurram Jamali, Konstantinos Papamiltiadis and Ather Imran Nawaz. I was drawn to two conference sessions in particular: cloud computing and internet of things (IoT). The choice was guided by my own interest in these topics. Tariq Shaukat, President of Google Cloud, was the featured speaker in this session. What is cloud computing? The last few years have seen a major shift from to old client-server to the new cloud computing model in information technology. Companies are shunning their own in-house IT infrastructure in favor of renting services from data centers operated by cloud companies like Amazon, Google and Microsoft which also offer their proprietary application programming interfaces (APIs) and frameworks to support applications. Tariq talked about a variety of Google Cloud APIs that include compute, storage, data, machine learning, management, identity and security APIs. He specifically focused on machine learning APIs for vision, speech, language and translation. Answering my question about portability of cloud applications, Tariq said they provide from apps written to Amazon Web Services (AWS) to Google Cloud. However, he said nothing about ease of porting apps from Google to other competing cloud offerings. Unfortunately, Tariq's presentation looked and sounded more like a sales pitch for Google Cloud than a discussion of cloud computing model itself. How does it affect IT companies? Among the most affected by cloud computing are the IT outsourcing companies, particularly India-based TCS and Infosys, that relied on back office work for their revenue. The ongoing shift to cloud is now hurting that business. Naeem Zafar (CEO TeleSense) moderated this panel featuring Ali Sebt (President VIMOC Tech), Nadir Fatehi (CEO Kiana Analytics), Nidhi Kalra (Rand Corp) and Mashood Alam (SAP Labs). The growth of embedded computing chips in both industrial machines and consumer appliances combined with proliferation of networks are enabling the "Internet of Things" (IoT). Such networked machines collect operational and performance data from built-in sensors that can be analyzed and used to fine tune performance, schedule preventative maintenance, diagnose and fix problems (often remotely) and better manage them for the best results. New revenue models can also be imagined by manufacturers based on the output and the outcomes of such systems. An example of IoT I heard about recently is in the farm equipment business like tractors and harvesters. Before the advent of IoT and software, most American farmers repaired their own equipment. Now, they must call manufacturers like John Deere to fix it. And they need to sign long term service contracts guaranteeing additional revenue streams for the sellers. Organization of Pakistani Entrepreneurs in Silicon Valley (OPEN SV), led by Ms. Amra Tareen, put on yet another great conference this year that drew over a thousand attendees, about half of them women. 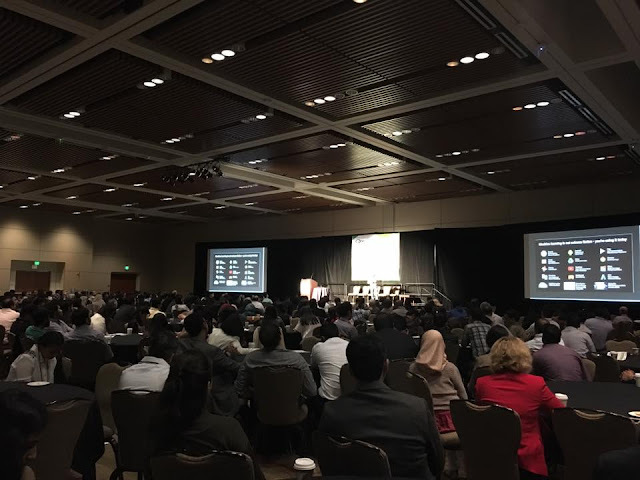 It was attended by entrepreneurs, venture capitalists, bankers, accountants, lawyers and high-tech executives coming together at Santa Clara Convention Center on Saturday, April 29, 2017. It featured successful entrepreneurs including Ahmad Khaishgi of SquareTrade and Mudassir Sheikha of Careem as well as powerful venture capitalists such as Aaref Hilaly of Sequoia Capital. LAHORE: And the day is finally here! More than 150 startups, over 30 angel investors, and 3,000 attendees meet in Lahore on Thursday for the biggest-ever startup and innovation event in Pakistan. Hosted by the MIT Enterprise Forum - Pakistan and Information Technology University at the Arfa Software Technology Park, the two-day conference brings together investors, entrepreneurs, mentors, speakers, technology companies, accelerators, and media in an initiative to bolster the country's growing startup ecosystem. "In the last decade, Lahore has transformed itself into a technology hub. With our startup and investor eco-system building up steam, Startup Lahore has come about at an opportune time," said Dr. Umar Saif, chairman of PITB and vice chancellor of ITU – the driving force behind Pakistan's largest, Lahore-based technology accelerator PlanX. "This will be a fantastic opportunity for all entities to network and showcase our talented community," he mentioned. The first day of the event is open for attendees to participate in startup exhibits, workshops, seminars, networking events, corporate pavilions, and much more. Startup Lahore has partnered with Careem to provide special discounted fares for people coming to the conference from anywhere in the city. Apart from the several workshops and sessions conducted by local and international industry leaders – including big names such as Google, Microsoft, Bramerz, and others – a key part of the event is the Startup Rumble competition, involving startup ventures pitching a business idea to compete for cash prizes. While the Rumble will be held on the second day in an invite-only, closed event, participating startups will showcase their ideas at their stalls on Thursday before they enter the final round of the competition on January 27. Geo.TV is covering the event live on the web, Facebook, Twitter, and Instagram on both days. According to a spokesperson for the Startup Lahore team, 85 startups have already been shortlisted for the next round, based on voting earlier this month after the teams signed up and posted their business ideas online. Of the competing startups, the top 20 will be invited to pitch their ideas on Friday in front of a panel of judges. The winner will receive a Rs. 1,000,000 cash prize, along with a chance to be accelerated at PlanX. Runners-up will get a Rs. 500,000 cash prize, while the startup at the third place will receive Rs. 200,000. The panel comprises Shoaib Zahid Malik, Director Kausar Group of Companies, Asha Jadeja Motwani, founder of Makerfestrajkot, Rajeev Circle Fellowship and Dot Edu Ventures, Ali Mukhtar, CEO of #FatimaVentures, Hassan Bhatti, Chief Business Officer at Iris Automation and co-founder of Quintius, Omer Khan, co-founder VIVID Technologies, Saad Fazil, co-founder and MD VentureDive, Dr. Sumaira Rehman, Pro Rector Superior University and CMACED, and Amna Nadim, Product Strategy & Communications Consultant and MD EarthRyse. The 2017 Digital Youth Summit (DYS), a joint initiative of the KPITB and the World Bank and powered by Jazz, kicked off in Peshawar today. KP’s Digital Strategy was also unveiled to provide a roadmap for KP to equip young people with the skills, access, and markets they need to secure and create jobs in the knowledge economy. Around 4000 people are expected to attend the discussions and workshops to discuss a wide range of topics from e-commerce to digital security in Pakistan. The weekend of tech will culminate in a Startup Cup for young entrepreneurs to showcase their business ideas to investors. said Dr. Shahbaz Khan, Managing Director of the KP IT Board. The World Bank has been providing technical assistance to the Government of KP and has assisted in the development of the strategy and has also developed a trust fund for the KPIT to implement projects. This year’s summit is organized by the KP IT Board and the World Bank Group and is powered by Jazz, supported by USAID, and sponsored by the Tourism Corporation of Khyber Pakhtunkhwa, UNDP, Bank of Khyber, Gloria Jeans Coffee, March Designs, Pakistan Telecommunications Authority, the Multi-Donor Trust Fund for KP, FATA and Balochistan, Codematics, and Animation Republic. The Summit has evolved from bringing together the next generation of digital innovators since 2014, to helping map out Pakistan’s digital future and transforming Khyber Pakhtunkhwa (KP) into an emerging technology hub. The summit brings together top local and international entrepreneurs and technologists as well as companies and investors, to share knowledge and experience while training and investing in the youth of KP. To sustain and leverage the summit’s momentum, KP Digital Strategy is also presented at the summit to provide a road-map for KP to equip young people with the skills, access, and markets they need to secure and create jobs in the knowledge economy.